Best buddy to the common muscle knot! He didn’t know about using tennis balls for massage! He asked what helped my back pain, and I told him I always lie on a tennis ball. He looked at me like he was going to refer me to a psychiatrist! How can an orthopedic surgeon not know about the tennis ball thing? Doesn’t everyone know about the tennis ball thing? 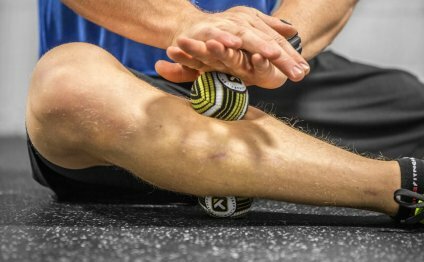 It’s exactly like foam rolling, but less trendy and more precise. The basic idea of tennis ball massage, or any massage with any kind of ball, is to apply pressure to muscles with it by trapping it between your body and something else: usually the floor, sometimes a wall, or another body part.